"There was a question that had come to trouble me a bit earlier, once I had taken the first steps on this return journey to Reims... Why, when I have had such an intense experience of forms of shame related to class ... why had it never occurred to me to take up this problem in a book?" Returning to Reims is a breathtaking account of one man's return to the town where he grew up after an absence of thirty years. It is a frank, fearlessly personal story of family, memory, identity and time lost. But it is also a sociologist's view of what itmeans to grow up working class and then leave that class; of inequality and shifting political allegiances in an increasingly divided nation. 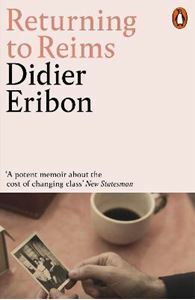 A phenomenon in France and a huge bestseller in Germany, Didier Eribon has written the defining memoir of our times.